Mellany Msengezi Mariri | How to resolve challenges faster than yesterday. How to resolve challenges faster than yesterday. Do you ever find yourself going through a new challenge in your business or work area and have no idea what to do? Then you wake up the next day thinking the best solution is doing the same thing you always do but again, you and up in the same position. Each day seems to be coming with a new challenge and taking the same approach to a re-occurring problem is not a solution in this day. You have to take a step back and restrategize. Here is the secret, due to a fast paced environment, you cannot afford to restrategise the traditional way or you will be overtaken by events. I want to call the new method “cutting edge fast thinking”. This is where you research for the best solution and go for it once the sun comes up. Research here means contacting possible people or mentors who might have faced the same challenge, checking similar markets and how they responded, and then weigh your options. You always need to then add that one spin that is new from how you have resolved previous challenges. Trying new solutions is a must in this new era. 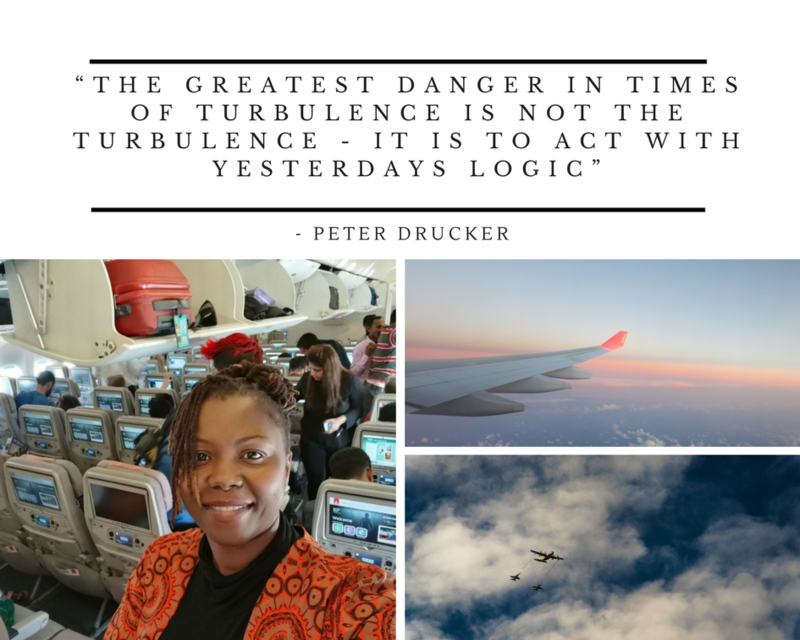 So remember that turbulence be it literal or figuratively, is sign that conditions are not optimal, which happens more often that we are comfortable. The way you and I handle these conditions is what creates the divide between solving a problem or merely extending the duration of its consequences. Never procrastinate in resolving a challenge. Take the step of faith and make the change.